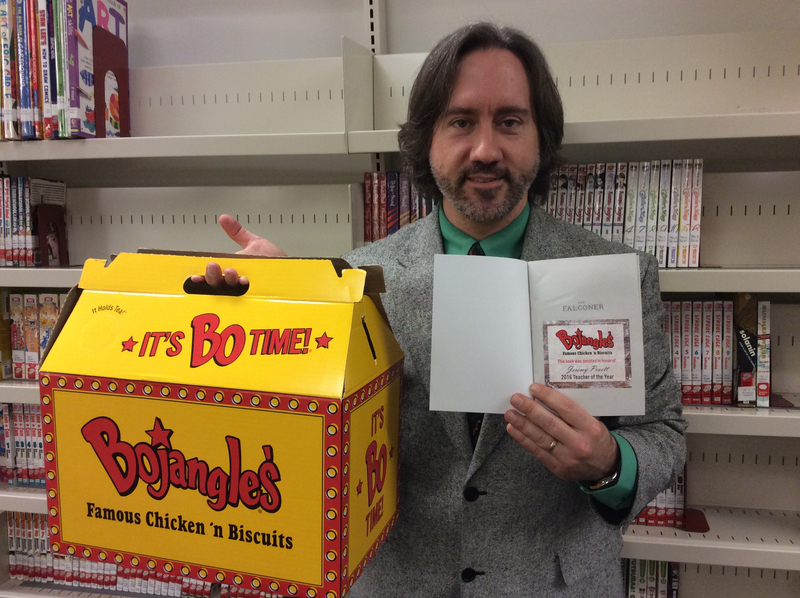 Our district teacher of the year, Jeremy Pruett stopped by the library with a Bojangles box. He revealed brand new books that he received from Bojangles for being teacher of the year and has donated them to the Loquacious Library. Thank you Mr. Pruett! !